We offer cutting-edge digital audio technology that enables universities to deliver the learning experience of the future to all students today. "Our rooms are heavily used throughout the day and into the evenings so we needed a solution with a longer battery life so we have recently been deploying the Sennheiser Speechline systems." Learning requires listening. 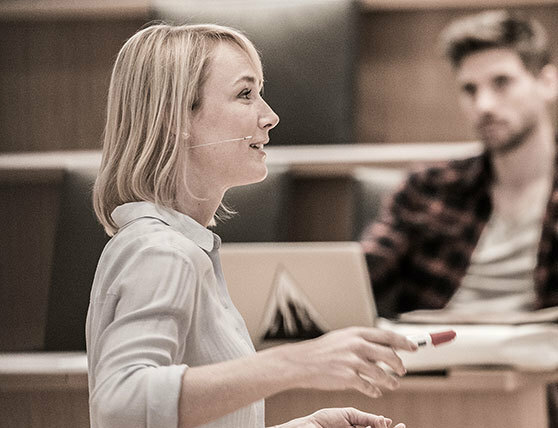 As part of the global digital transformation, the digitalization of AV equipment affects universities in particular because of their need for best tools to exchange thoughts and words. 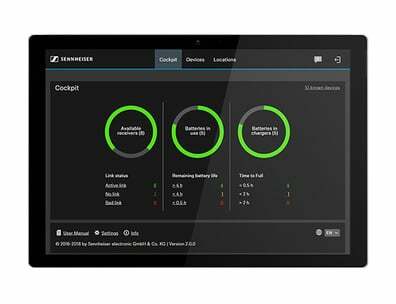 With Sennheiser Education Solutions, we provide a truly wholistic, IT-friendly portfolio for the educational world. Students are best supported in their personal development by delivering ideal conditions for gaining knowledge and sharing ideas in lectures and discussions. With our state-of-the-art audio equipment, we provide devices that are easy to handle for professors, IT personnel and students. 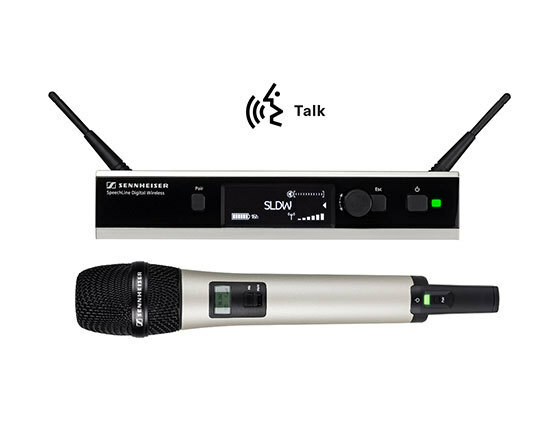 No technical expertise is needed to use the wireless microphone systems like SpeechLine Digital Wireless that can be easily extended to as many rooms on campus as needed. Provide the best audio quality for all your students to leverage the education experience to a higher level. Audio barriers can be costly for universities against the background of a growing societal demand for real inclusion. With audio streaming on smart devices in best quality, the integration of hearing impaired students is perfected. Attract the best talents by offering advanced learning solutions. Investing into our integrated digital audio portfolio is a sustainable investment in your students’ future. Under the signs of digitalization, the investment in future-oriented, IT-friendly technologies is essential. 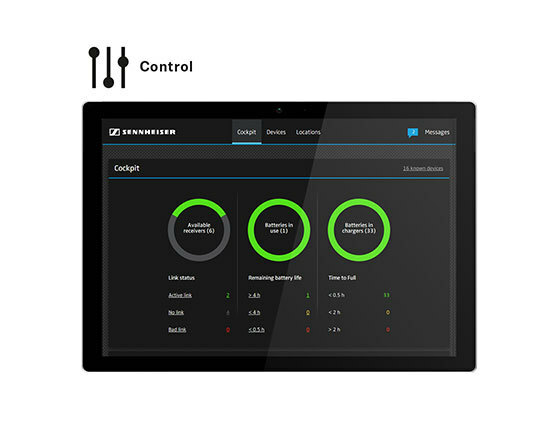 Improve your digital workflows and minimize the future investment with our solutions that allow remote monitoring and service of all devices in the network. “The product fulfils its product promise, the investment is worthwhile, the digital frequency transmission and the automatic search for free frequencies in the 1.9 GHz frequency band (DECT) works well. No frequency problems at all". 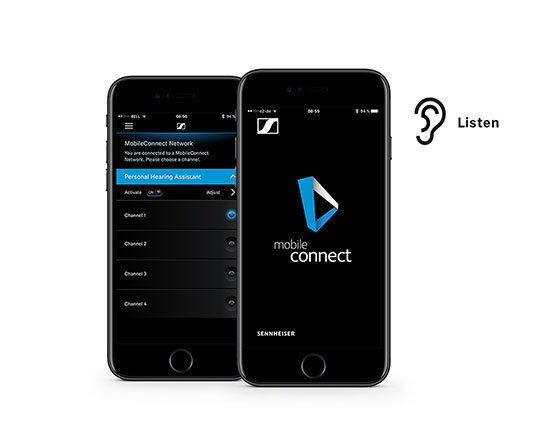 Do you have further questions about Sennheiser Education Solutions or do you want to get a product demonstration? Just fill out this form and get the information you need!